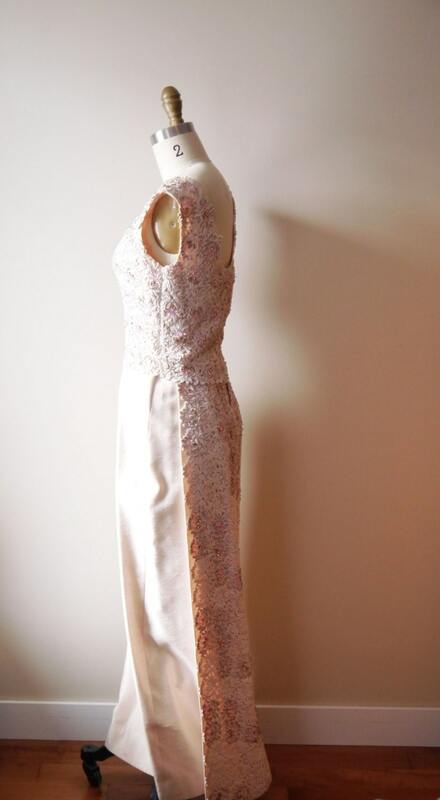 An absolutely stunning gown purchased from a beautiful woman and her lovely estate. Her stories of going to glamorous events are most definitely intertwined in this dress. 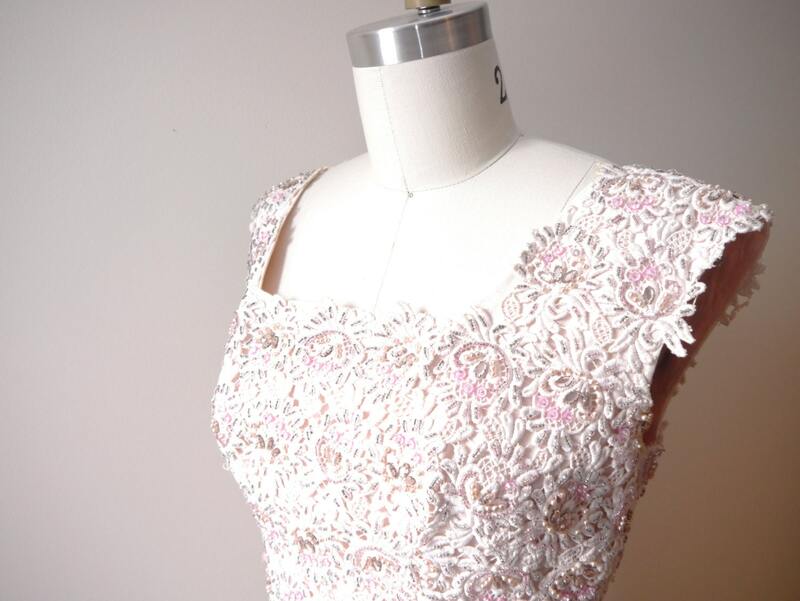 A heavily beaded and embroidered bodice with a detached panel running down the back. This dress gives me very Jackie O vibes and can imagine a beautiful lady entering a room in something this elegant. 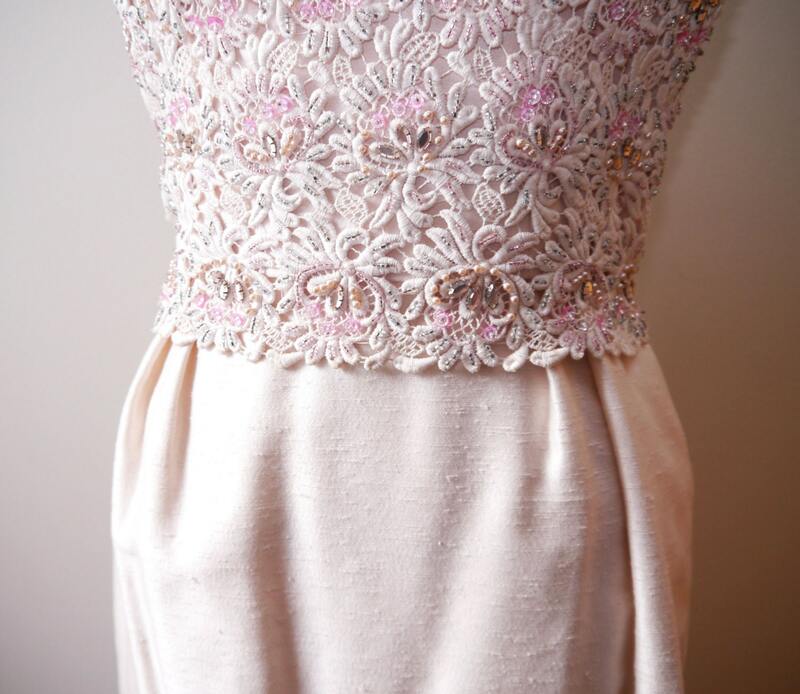 If you would like to see any more photos of the details of this dress please feel free to message me. It is truly a breathtaking gown. 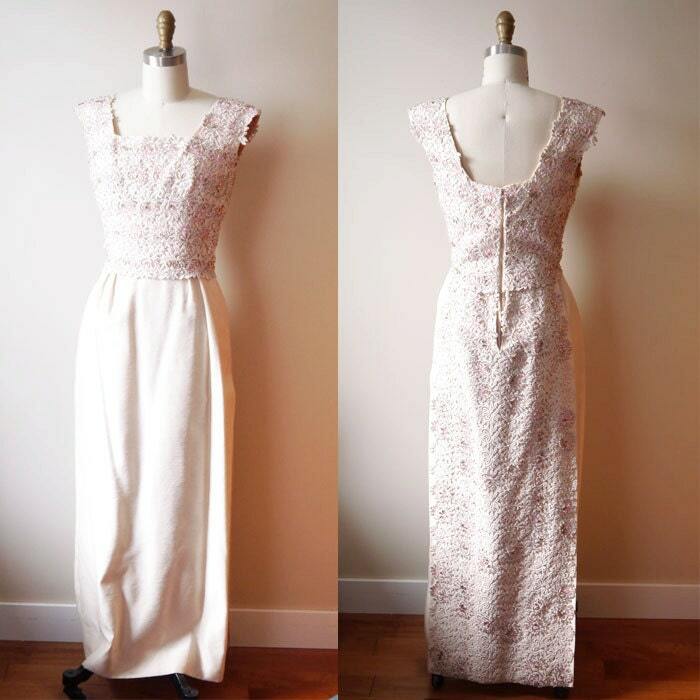 This dress is in absolutely perfect vintage condition. No flaws, stains, or tears.